Hey, Teens! Join us for the 1st annual Teens for Life Kickball Tournament! 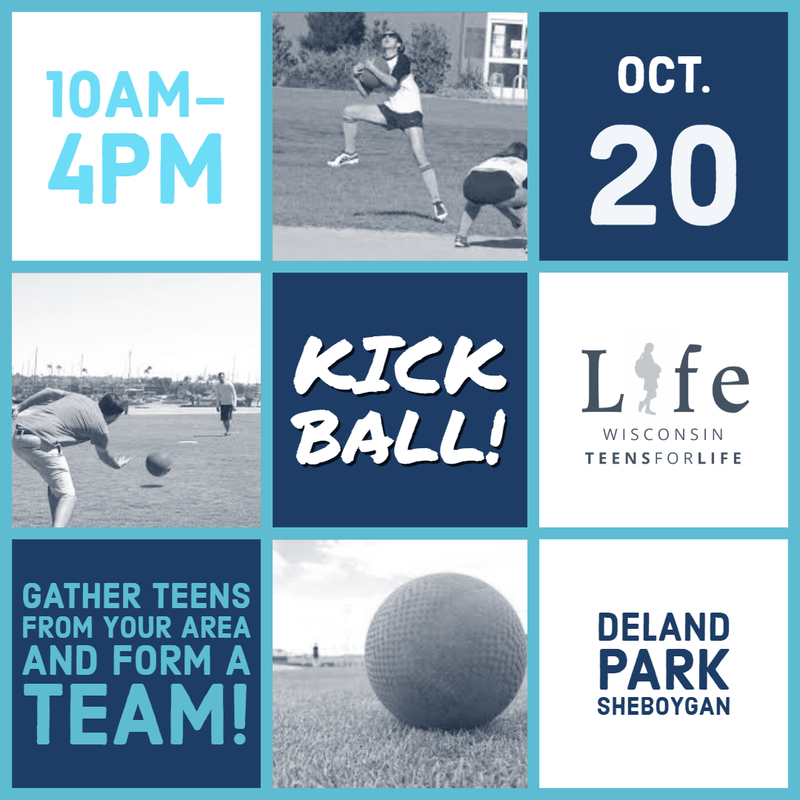 Pull together a team of 8-10, and come on out to enjoy an afternoon of kickball with other teen groups from across the state! Prizes will be awarded to the winning teams! Lunch will be provided for registered teams. Concessions will be available to purchase for spectators and day-of registrations.